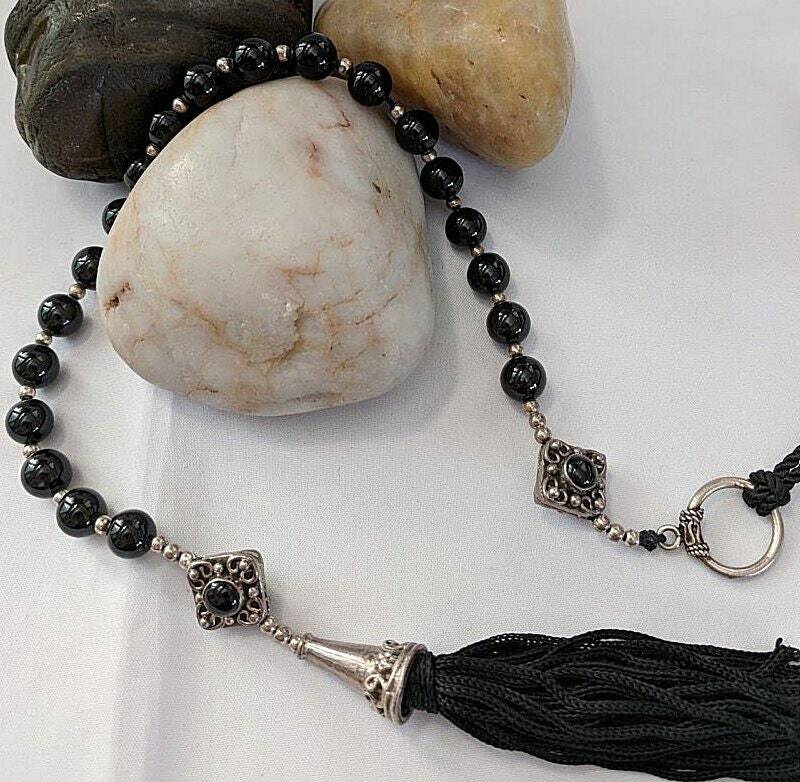 This hand-strung paternoster has 29 onyx (8mm) beads and we have added flat square 12mm sterling silver beads with a onyx cab in the center for the Paternosters at each end. 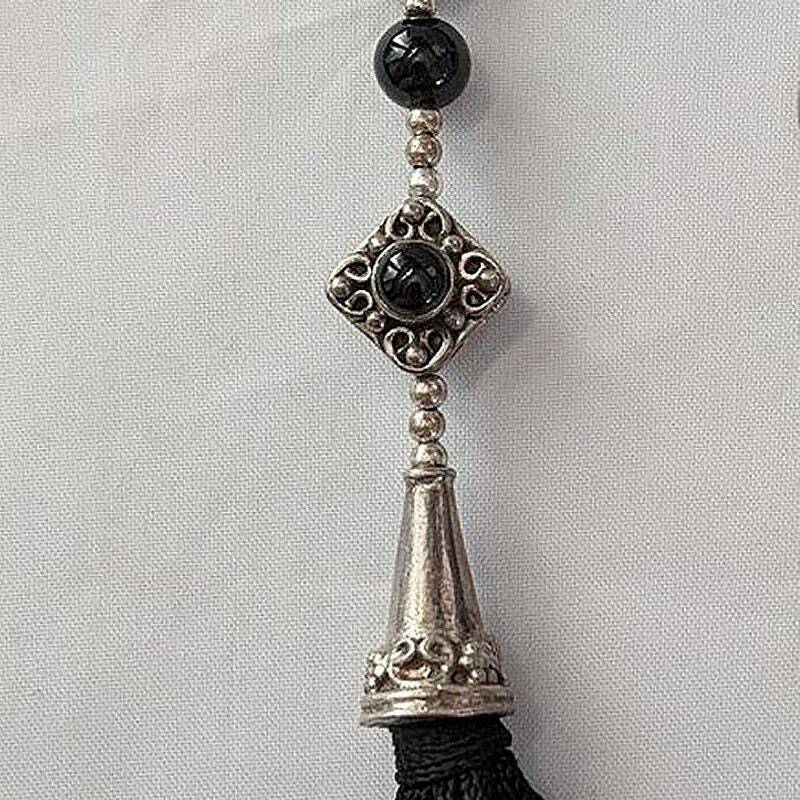 It is strung on black silk beading thread with silver spacer beads separating each bead and has matching black tassel topped with a sterling silver cone at one end. 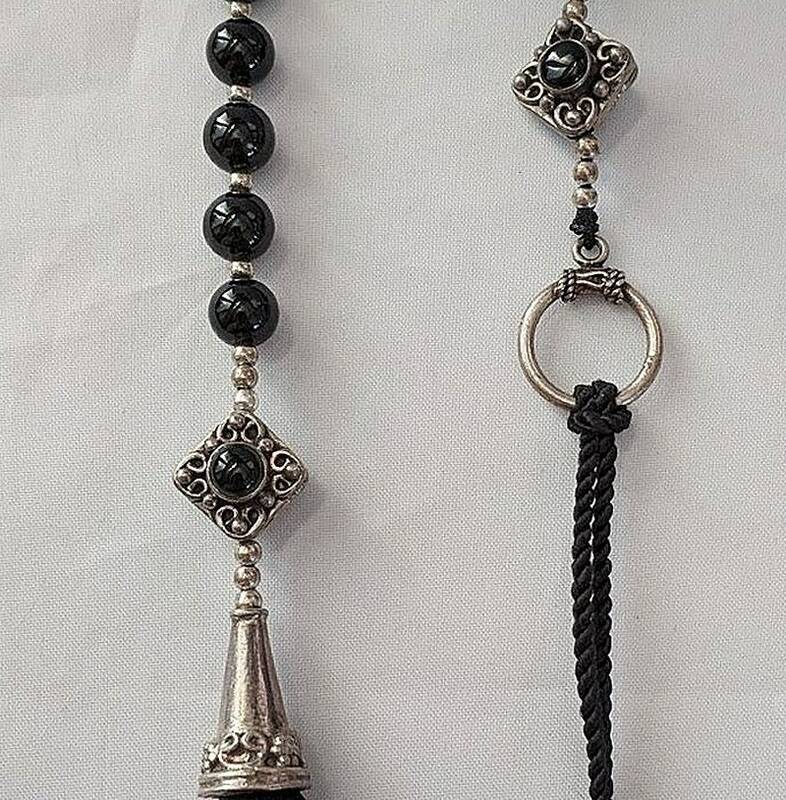 We have added a sterling silver ring and cord at the other end for holding on the thumb or hanging from the belt. 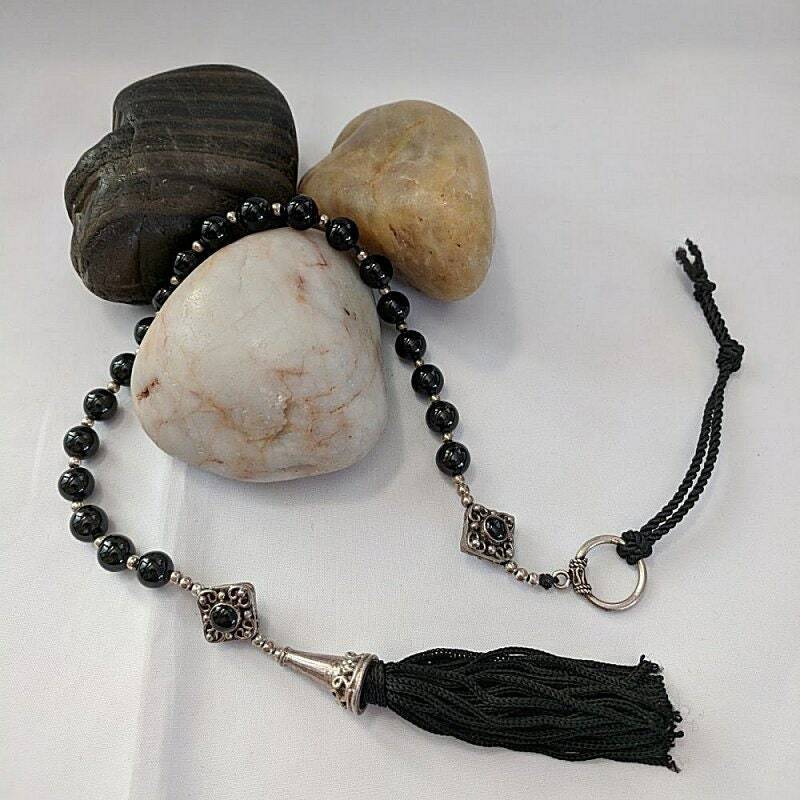 This string of prayer beads measures approx. 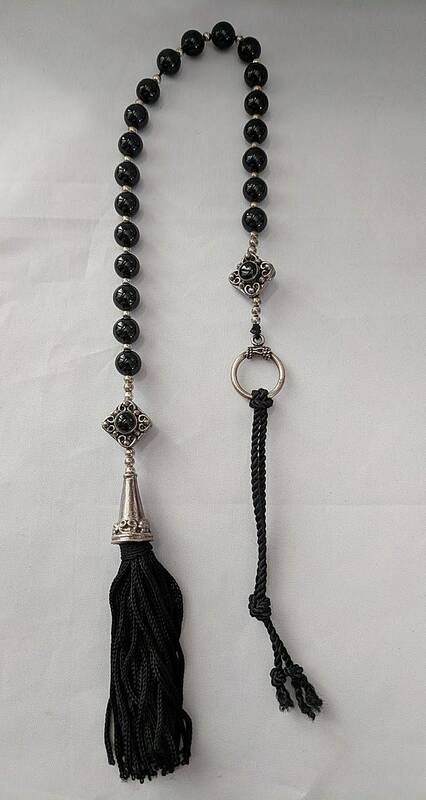 15" in overall length, excluding the hanging cord. 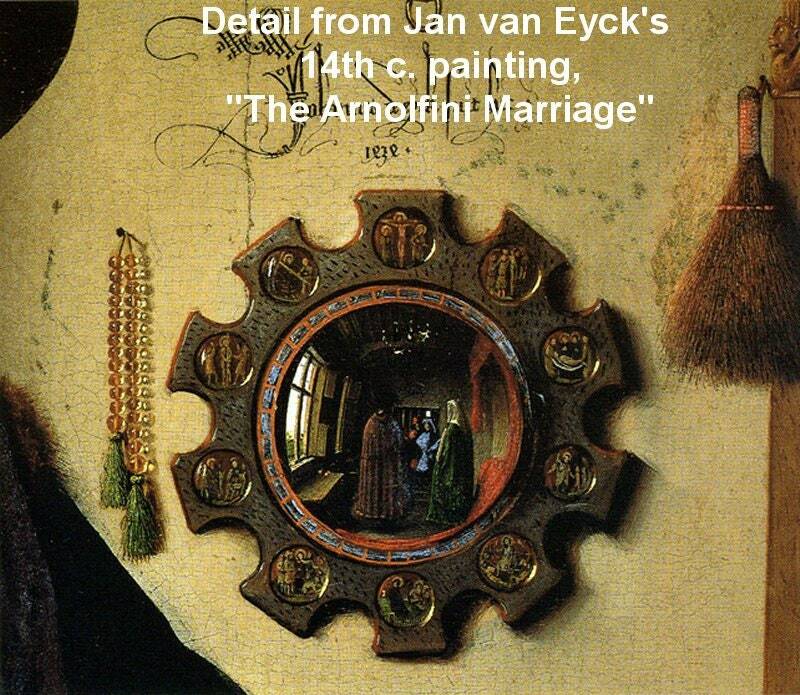 The bead number and arrangement was inspired by the string of beads hanging on the back wall in Jan van Eyck's painting, "The Arnolfini Marriage." See last pic.